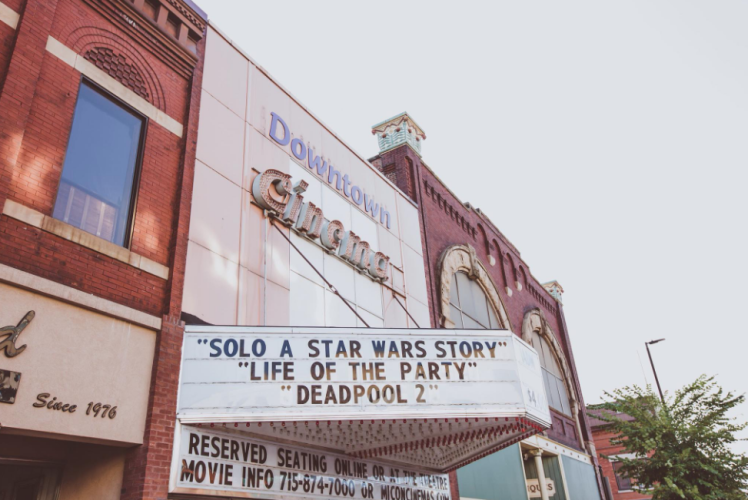 Experience the charm of Micon Cinemas Downtown Budget Theater’s classic movie theater vibe with modern amenities. From reserved seating, to a full-scale food and beverage menu, enjoy new movie releases on a dime (Adult $4, Youth $3) with the luxury of contemporary movie theaters. From specialty pizzas, appetizers, desserts, alcoholic and non-alcoholic beverages, classic movie theater concessions, as well as vegan options, there’s something for every palate!